This is one-on-one coaching for individuals who feel they lack clarity and purpose, and are looking for a kick-start in the right direction. 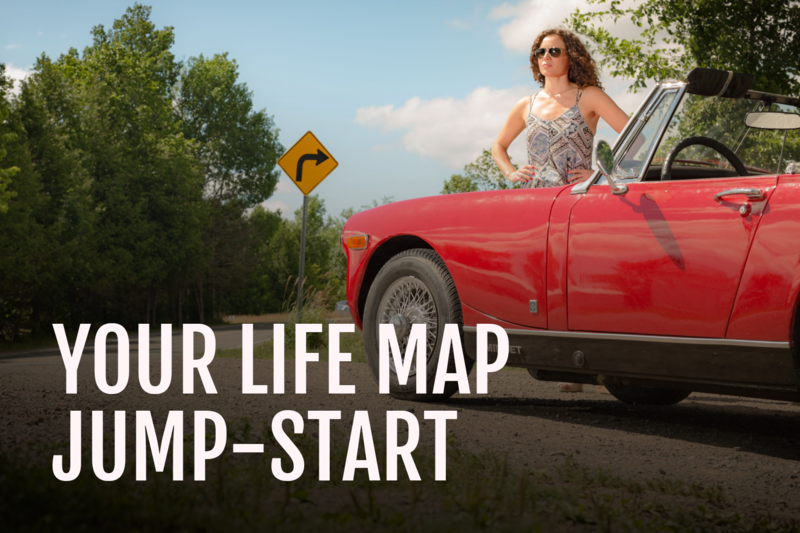 Your Life Map Jump-Start is a coaching program to help you discover how past events, experiences and people have shaped you, and who you want to be as you move forward. People who expect an instant fix but are resistant to making changes. People who aren’t willing to open up and be honest with their feelings and beliefs. People who are clinically depressed or are in need of help to work through any type of trauma. You will become clear on unhealthy patterns in your life and how to let them go. You will have a deeper understanding of the lessons you have learned throughout your life and how they have impacted you moving forward. You will discover how your past has shaped you into who you are today. You will develop clarity on why you react and respond to different situations in life the way you do. You will develop a deeper understanding of what’s truly important to you and how it plays a role in your level of happiness. You will feel motivated and excited about the ‘aha’ moments you’ll have and will want to start implementing changes ASAP! You will be able to let go of things you’ve been holding onto for a long time and feel more free. You will better appreciate the tougher times in life. You will be living more in the present and feel excited about your future. You will feel inspired, motivated and happy. I am going to be your coach and your cheerleader during our one-on-one sessions. We will work on creating a fun, free and fearless life you’ll love over the course of 4 weeks. Before we even have our first session you’re going to get real honest with yourself by filling out a coaching questionnaire. We will have weekly 45 minute calls (phone, Skype or FaceTime). So feel free to put on your comfiest outfit, put your feet up and enjoy a nice cup of tea while we explore your Life Map. Get ready for it to move you towards a future you’re excited about. There will be some fun homework for you to dive into between our sessions that will help give you a deeper understanding of who you really are. After 4 weeks of working together you won’t believe how far you’ve come and how different you’ll feel. I’m Sharon Stokes and my biggest passion in life is helping people just like you to live a fun, free and fearless life! 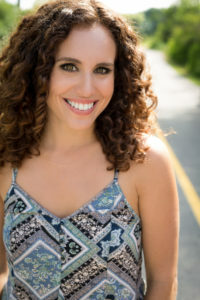 Having embarked on my own self-discovery journey after getting out of a long-term relationship, I understand the pain, anger and loneliness a breakup can have. I also know how to come out the other side stronger than ever, and that true happiness is possible! I’m a Certified Life Coach who studied at The Institute for Professional Excellence in Coaching (iPEC). I’ve also worked as a Coach at Matthew Hussey’s 5 day Lifestyle Retreats, where I’ve had the opportunity to help transform the lives of countless women. I had the privilege of working in the media for over 10 years as a Segment Producer for CTV’s etalk and The Marilyn Denis Show. I’ve also been a guest on various media outlets such as CTV, RogersTV and Sirius XM radio. I’m a contributor for Huffington Post and other fun online publications. I’m also a big fitness fanatic and a Certified Fitness Instructor who teaches BodyJam and Jillian Michaels’ BodyShred program. One of my biggest goals in life is to help you reach your true potential. Let’s get started! Ready to feel more independent and embrace being single? Let’s chat!